State agency says algae spotted in the area is not producing toxic bacteria, but will be monitored. The Oregon Health Authority has lifted a five-day-old health advisory for recreational water users near the Ross Island Lagoon in Portland, saying that algae spotted in the lagoon is not producing toxins at this time. The algae is still present in the lagoon, so there will be future testing to ensure that it doesn't produce unsafe levels of harmful bacteria known as cyanotoxin. The lagoon is located just south of the Ross Island Bridge on the Willamette River, about a mile south of downtown Portland. River conditions can change swiftly, so recreational water users are advised to be on the alert for foamy, scummy water, which can be pea-green, blue-green, or brownish red in color. Algae buildup is not uncommon in the river during warm weather when river flows are slower. Ross Island is partly owned by Ross Island Sand and Gravel, which mined gravel from the lagoon from 1926 to 2001. The company's base of operations is located on the riverfront just east of the island. 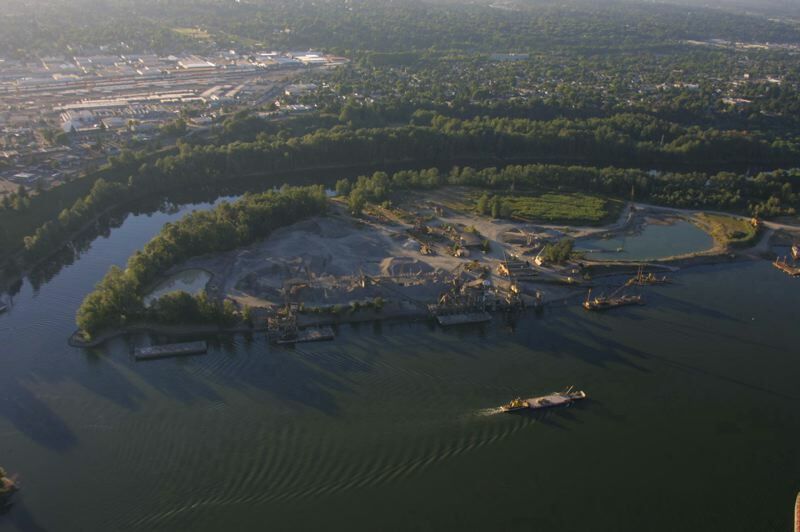 Ross Island Sand and Gravel is owned by Robert Pamplin Jr., who also owns the Portland Tribune and Pamplin Media Group. There are four islands in and around Ross Island, including Toe, Hardtack and East islands. An earthen dike was constructed between Ross and Hardtack islands in 1926-27 to create the Ross Island Lagoon, according to the state Department of Environmental Quality. Ross Island Sand and Gravel began importing fill material to replace the removed gravel beginning in 1980, according to the DEQ. Some of that fill turned out to be contaminated, and the company was required to cap the contamination with clean fill material. The cleanup was completed in 2010, and DEQ issued a "no further action" recommendation in 2011.